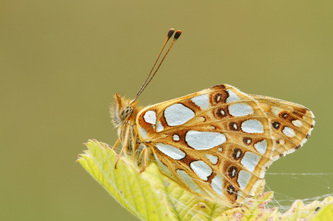 The uppersides are bright orange, often with a metallic-green sheen when fresh, and they have a fairly full pattern of black spots, including two complete rows of spots near the outer margin of each wing. 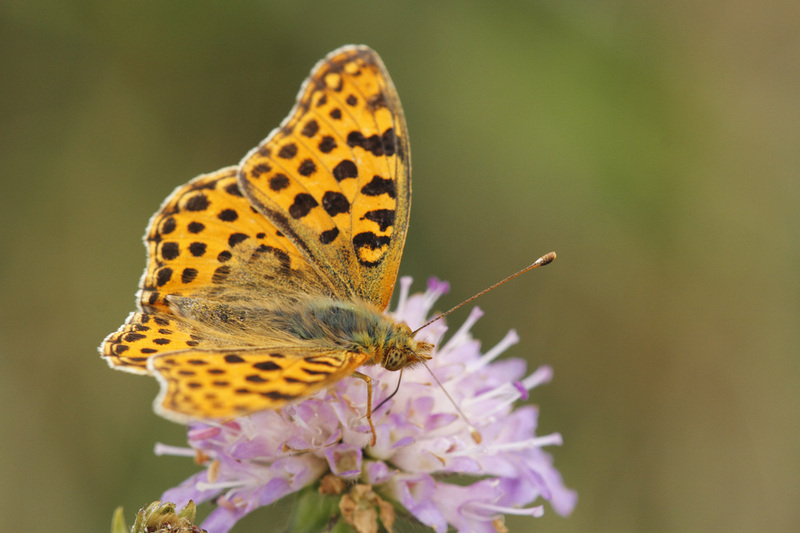 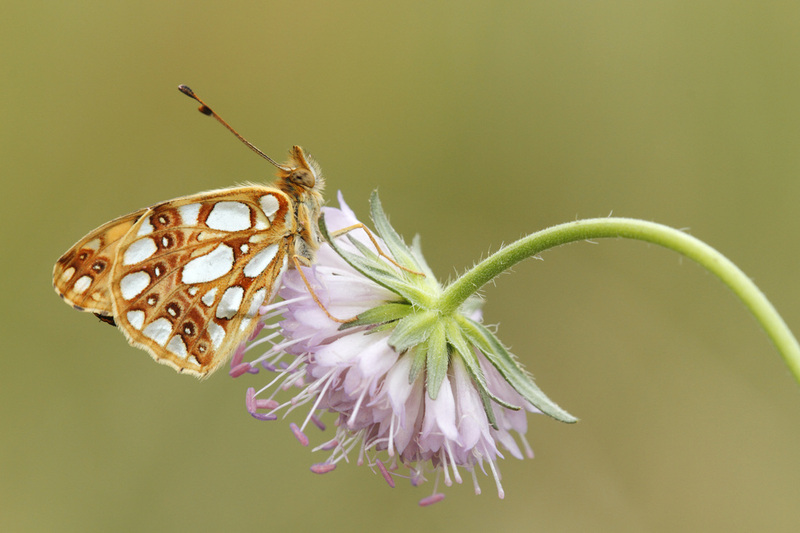 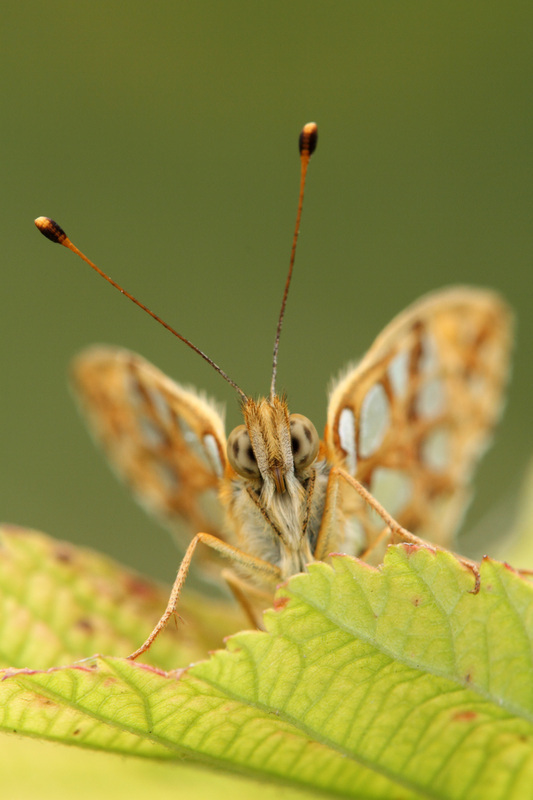 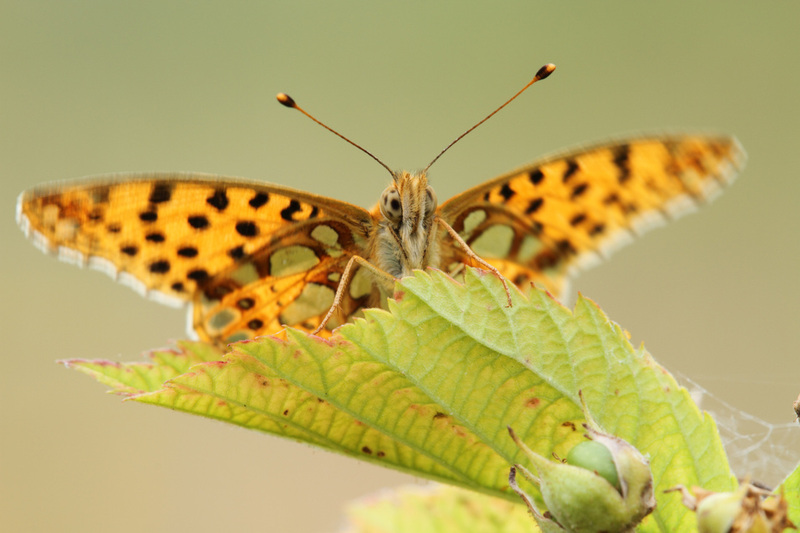 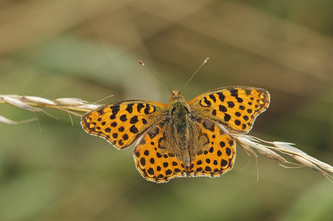 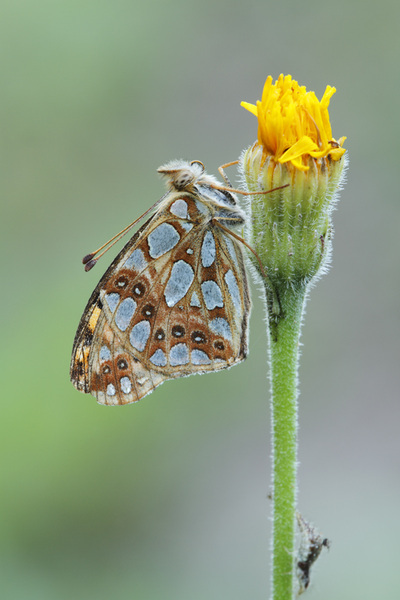 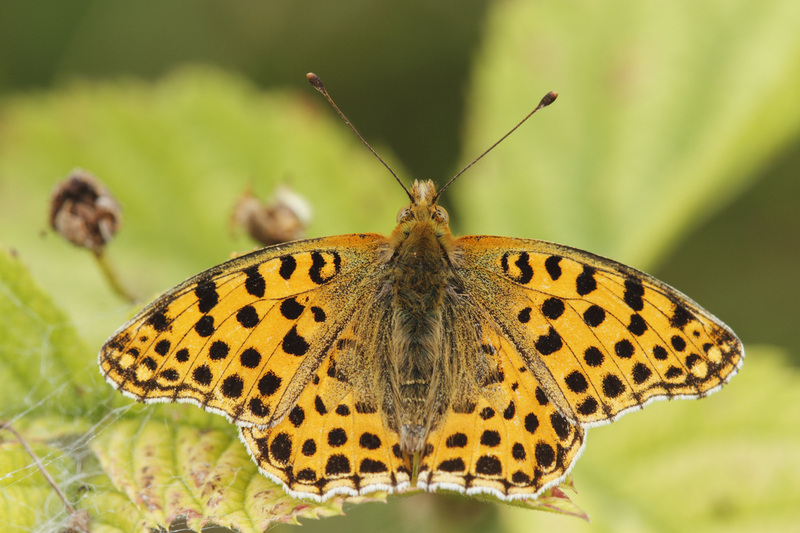 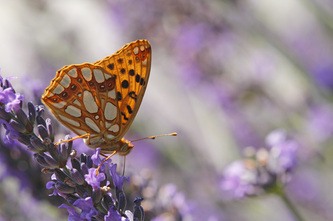 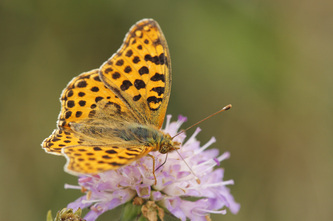 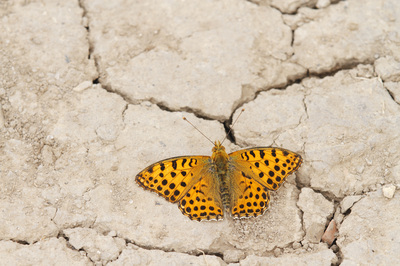 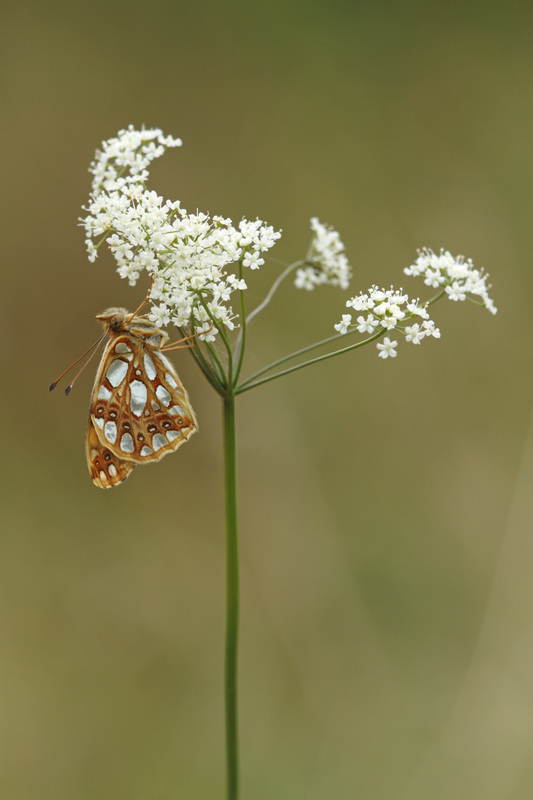 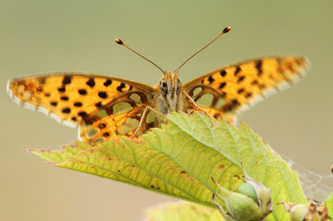 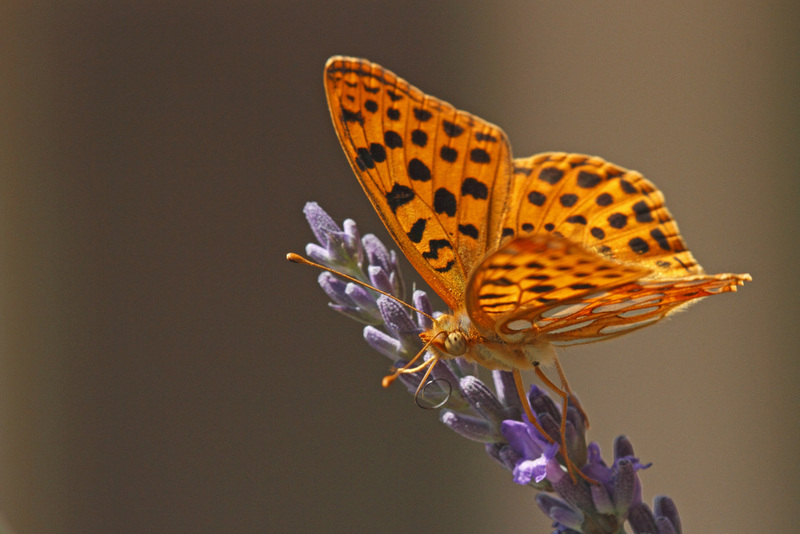 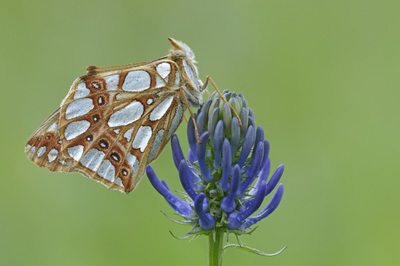 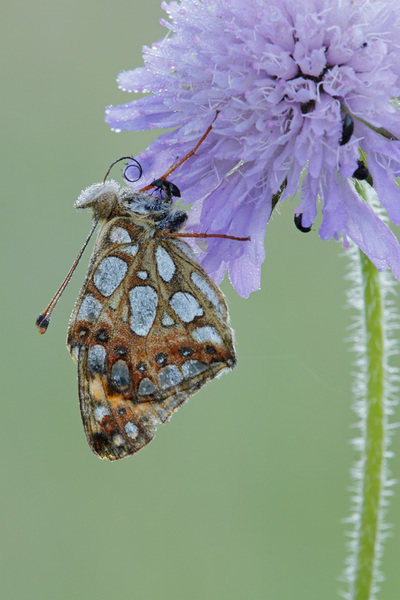 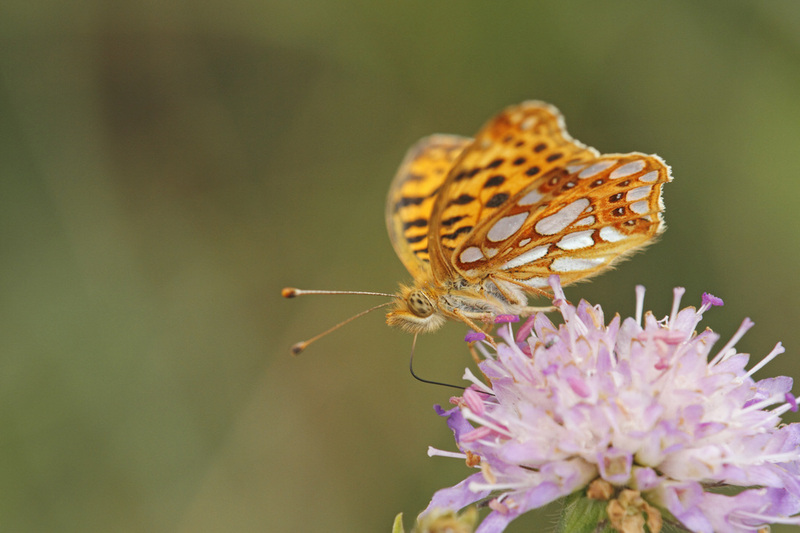 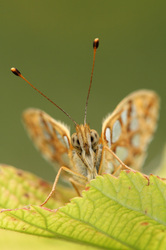 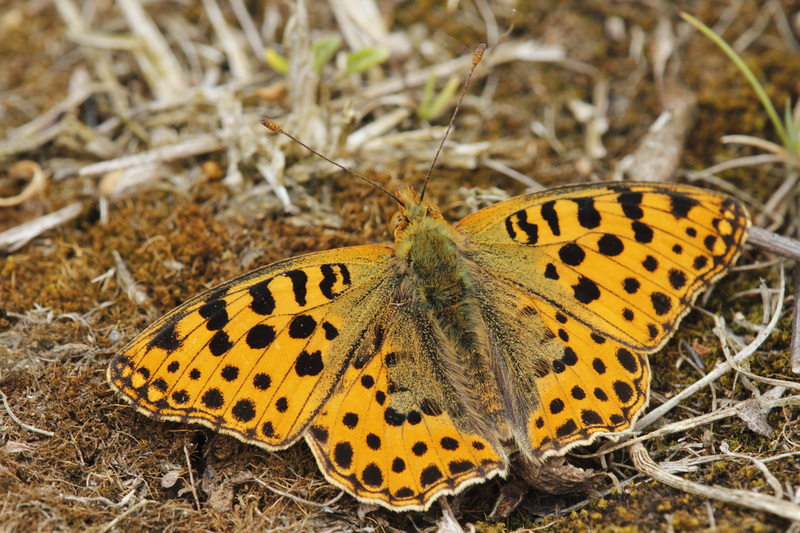 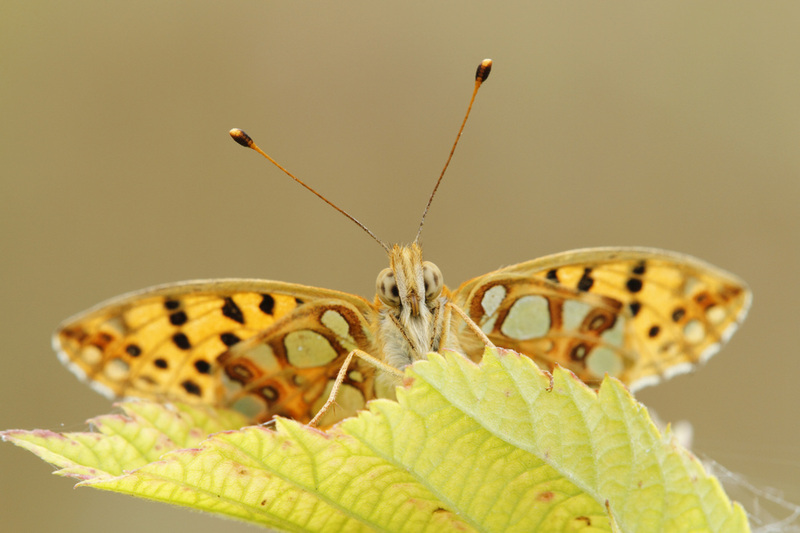 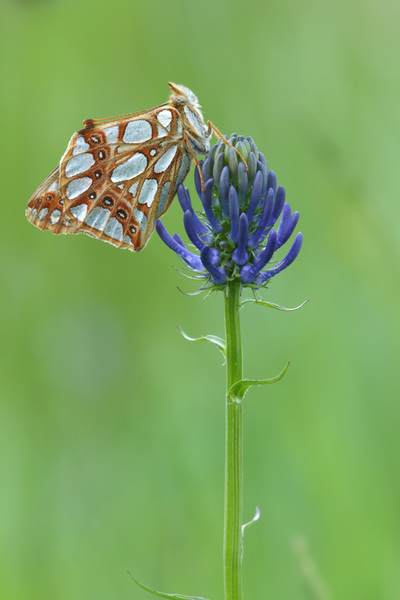 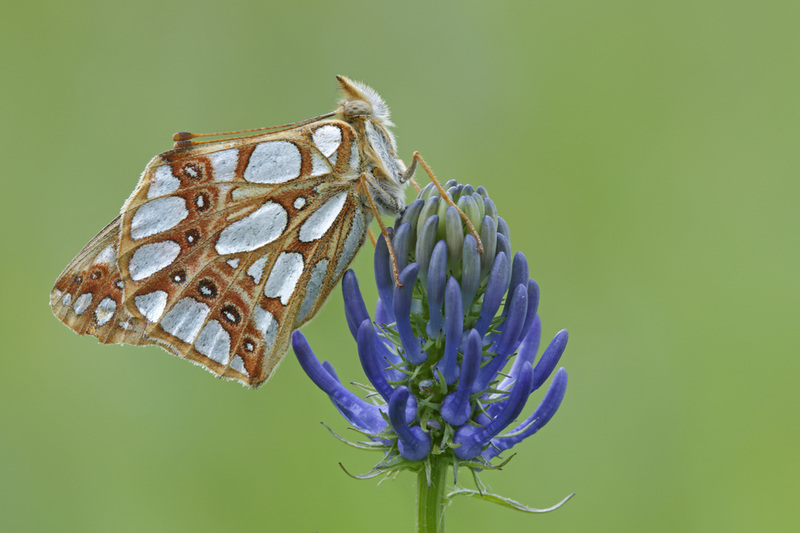 The outer margin of the forewing is distinclty concave, an this distinguishes the butterfly from most of the other fritillaries, but the best diagnostic features are fount on the underside of the hindwing, where the silver spots are extremely large and shiny. 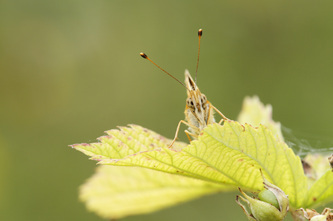 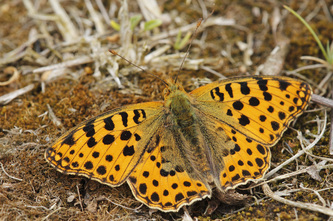 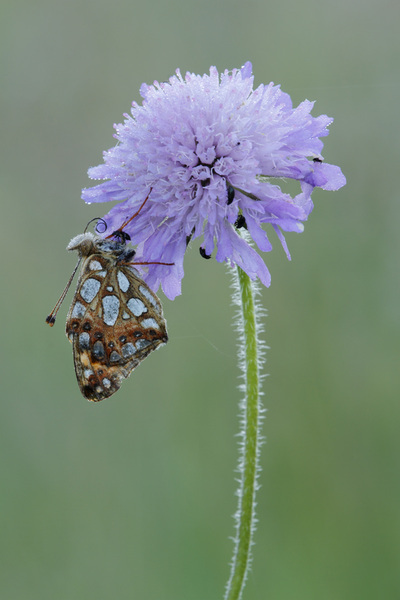 The underside of the forewing is pale orange with black spots and a few silver spots near the tip. 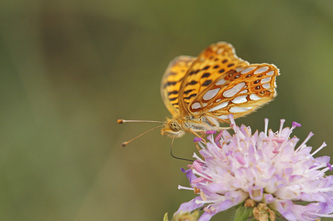 Flight from March to October in two broods at flower-rich places everywhere. 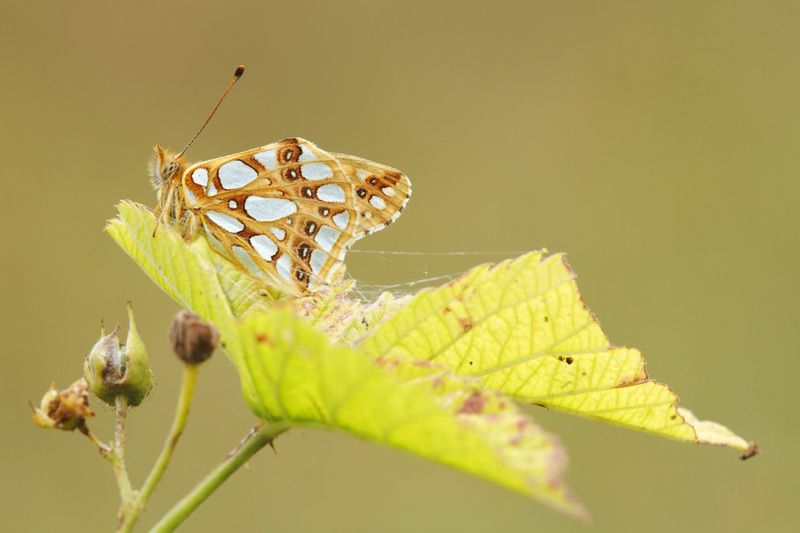 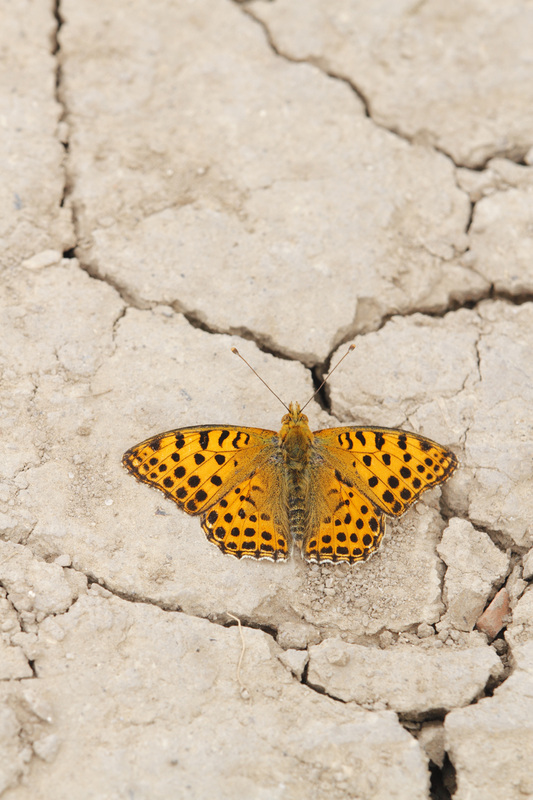 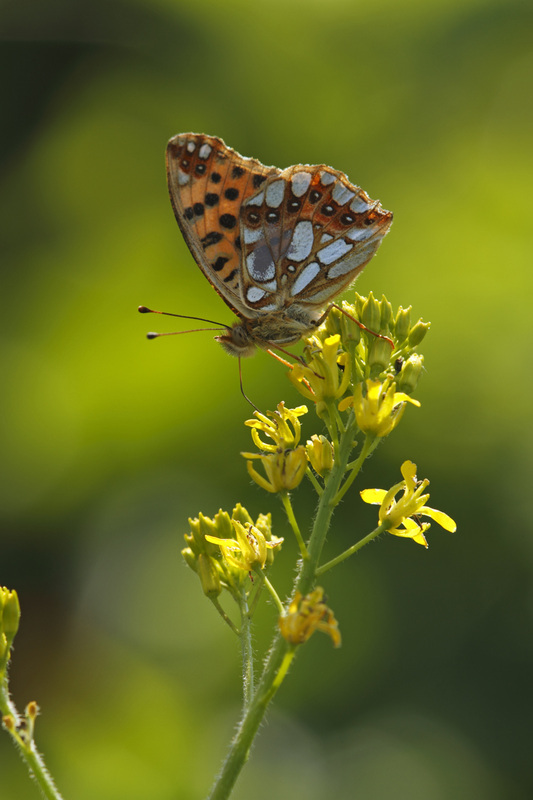 This butterfly is a great migrant and covers large distances. 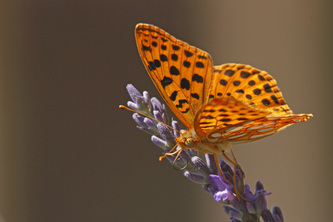 The larval foodplants are various species of Viola.